Pet washing stations are a convenient way for pet owners to keep their furry friends clean in the comfort of their own homes. 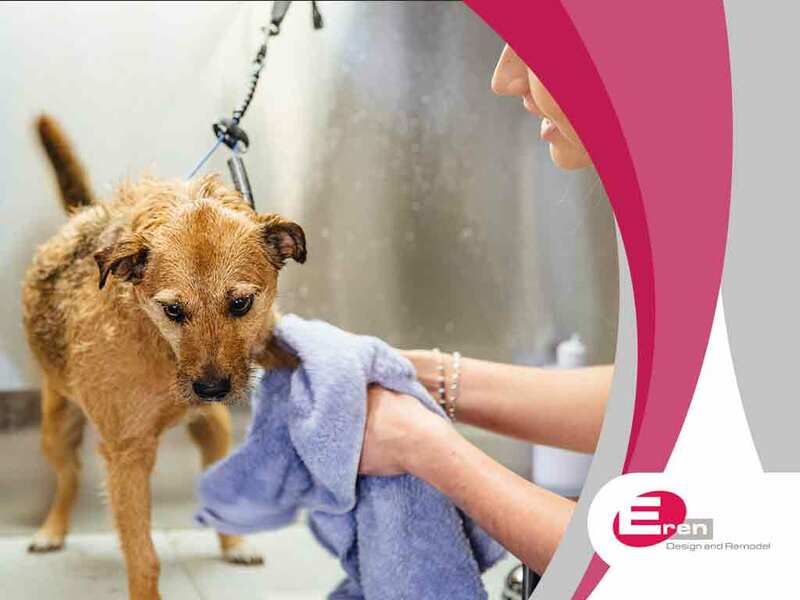 If you’re considering getting one for your home, expert home designer Eren Design and Remodel shares a few things you need to know about pet washing stations. If your furry loved ones are small enough that you need to bend over as you wash them, a pet washing station can make bath time much more comfortable. These stations are typically designed like elevated showers or tubs, so you can give your pet a shower while standing comfortably. Your pet will also be more comfortable with you standing or sitting close by instead of towering over them. Whether you own a chihuahua or a St. Bernard – or both – pet washing stations can be designed and built to suit your needs. Unlike a full-sized bathroom, pet washing stations can be built anywhere that’s convenient: in the laundry area, attached to the bathroom or even as an open bath area adjacent to the back door. Pet washing station design possibilities are virtually endless. Many pet owners prefer a small bathtub to curb pets that can’t stand still during a bath, or that need a good soak once in a while. For others, a shower-style stall works better. One popular design is a dual bathing station consisting of a floor-level washing area and a large sink, which can accommodate various pet sizes. If you’re not sure of what kind of pet washing station you should get, talk to home remodeling contractors like Eren Design and Remodel. Pet owners who bathe their pets in the bathroom are more likely to have clogged drains due to pet hair. Having a pet washing station means you won’t have to worry about a clogged bathroom drain when you least expect it. You can also have a cabinet designated specifically for keeping all your pet grooming supplies, toys and leashes in one place. To learn more about pet washing stations, call your home remodeling service expert Eren Design and Remodel today at (520) 885-2500. You can also fill out our contact form to schedule an appointment. We serve Tucson, AZ, and surrounding areas.